This isn't the first time that we've written a story about Microsoft offering cash to attract developers to the Windows Phone platform, and there is a fair chance that this won't be the last time either. Microsoft knows that more developers and a better app ecosystem is absolutely key to making sure the growth that Windows Phone has seen doesn't disappear. So, Microsoft is getting ready to pay more developers to bring apps to Windows Phone. 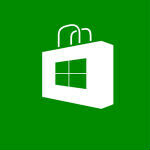 Microsoft already has a program in place where it will give developers $100 for each app that is published in the Windows Phone Store by the end of June with a limit of $2,000 per developer. But, word has it that Microsoft is setting aside much bigger piles of cash in an effort to attract bigger name app developers, and could end up paying out as much as $100,000 to some app developers to get them to bring apps to WP8. Of course, Microsoft is no stranger to paying big sums for partnerships, since it is currently paying Nokia about $1 billion per year to be the de facto flagship handset maker for the platform. Given that number, paying out $100,000 to a few developers doesn't seem like much at all. not funny at all.dumb comment of day goes to you. I love that they truly are trying.. That alone makes me feel good as a WP8 owner. i love wp but the lack of apps is killing me !!!! hey,can u tell how to learn to make android apps? actually only wp has potential to make long and hard impact in smarphone os. Paying developers has been both bane and boon for MSFT and BlackBerry. More apps have been created, but far too many poor quality apps, because of front-end incentives, have been added to the ecosystems. good to see microsoft is doing something to increase the number of apps in their store.. bring in the windows phone blue and game on!!! In this case, those eggs really may need to come before the chicken. WP is growing, but for true profitable levels to get hit, MS needs this. What developers face on android: Galaxy Y 240 x 320 Galaxy young 320 x 480 Galaxy Ace 2 480 x 800 Galaxy s4 mini 540 x 960 Galaxy s3 720 x 1280 Galaxy s4 1080 x 1920 Galaxy Tab 2 7.0	600 x 1024 Galaxy Tab 3 8.0	800 x 1280 (n.b Nexus 7 is set for release soon, again with new specifications - 1920 x 1080 or 1920 x 1200 ??? No doubt Samsung will need to follow suit) Remember, this is only one product line and developers also need to account for the different types of processors and GPU's. Go to and learn how to design with auto size on android. Android doesn't fixed size like ios... learn before CM. Boy! WP getting better and better everyday but still they need to improve there apps specially 3D intensive games. I think they can do it already has a lot of monies. How much profit are developers making at Google? Most of their apps are made free there, But when they move to WP, they charge. Someone must be paying them something developing for Google. I see this argument all the time at WP store. This is what they always do. Throw money at the problem and do something good. Once they have a large enough market share they screw the customer. Windows, Xbox One, etc..